I just got the Emily St. John Mandel book and am excited to read it. As for me, I just finished reading Boy, Snow, Bird by Helen Oyeyemi and am trying to finish After London by Richard Jefferies. I am doing some alphatbet challenges and am already really loving having a random way to pick my next read. It's a good way to stretch my habits. It's so so so so gooood! I hope you enjoy it as much as I did! I'm really interested in your thoughts on Boy Snow Bird. I read it earlier in 2014 and didn't care for it. I think Oyeyemi is a talented writer, but in general I think she has too many balls in the air in her books. Alphabet challenges are fun! I wish you a fantastic (reading) year! I've ordered Station Eleven (I couldn't resist in the end ;) so I'll see by myself. What strikes me the most about this novel is how it appeals to very different readers so I'm really curious to have a look at it. I've had a difficult end of the year: too busy and worried to concentrate properly on my reads and these days were alike. Finally, I've found books that seem to fit with my current capacities: Red Sky in Morning by Paul Lynch (Irish lit) - not the kind of story I read usually but I like it; and Mr Penumbra's 24-Hour Bookstore by Robin Sloan that was screaming my name from my TBR pile: I've read only a few pages but it is promising. I also read a book in French from my favorite French writer and it is good as usual and also perfect for my lack of concentration since it is a diary. You have a great point. Station Eleven really does appeal a large and varied cross section of readers. So good! I'm so glad to hear you're getting a good start to 2015 (and with Station Eleven no less!). I finished Megan Mayhew Bergman's latest collection not too long ago and really enjoyed it, but I've heard so many great things about Birds of a Lesser Paradise...I think I may need to grab it. I don't read a lot of short stories, but these sound good. I loved Station Eleven. They're really great, Candace! I hope you decide to give them a go if you have a hankering for short stories. Station Eleven has my heart! I'm getting more interested in Station Eleven with every review I read! So far, I've finished 2, The Life-Changing Magic of Tidying Up by Marie Kondo (very short and counts as work in translation) and Jacqueline Winspear's The Care and Management of Lies (very different from Maisie Dobbs series, packs an emotional punch). I had some serious doubts, but I'm SO SO SO glad I decided to give it a go! Excellent storytelling and it was beautiful the way all the details were woven together. Good for you for reading two books already in the new year! Oohh, I would love to ruffle through your short story collections and recommend books for the top o'the stack! I love 'em. Did you finish?? I'm surprised at how much I'm enjoying Station Eleven. I did! And I LOVED IT! Have to avoid books with animals because I'm always waiting for the soul crushing hammer to fall too! OMG, right??? I'll let you know when the hammer falls. 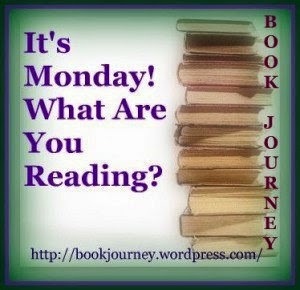 It's Monday, but I'm really not sure what I am reading yet. Nor would I say I had any books ushering me into 2015. :) I want to pick up something soon so I can get going on my Bout of Books progress. Happy Monday! Ahhh, I so wanted to do Bout of Books, but this is the absolute worst week for it. We're back to work and school, and the hubs is out of town later in the week. That's not a good recipe for reading. We'll see! Station Eleven is on my radar! I also bought The Martian--I'm getting my sci-fi on at the beginning of the New Year. Yessss! 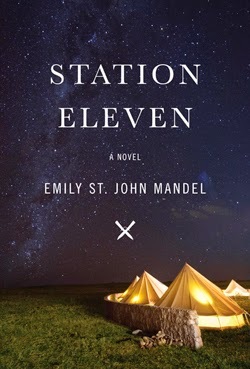 I enjoyed The Martian (after page 40), and I loved Station Eleven! High Five for Station Eleven! I'm so glad you liked it, I cannot wait to hear your thoughts! Girllll, gathering my thoughts is going to be a beast. I loved this one so much. 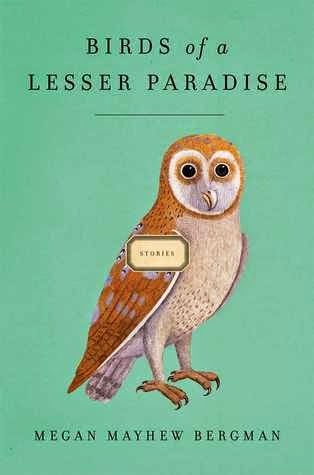 I am not much of a short story reader but that cover for Birds of a Lesser Paradise is just to cute. Have heard a lot of great things about Station Eleven. Might have to add it to the never ending list. Station Eleven was an amazing last-minute read for me last year! I'm on the library waitlist for the Station Eleven audiobook and I am excited to read it! I think 2015 will be the year in which I fully embrace science fiction. I've been hesitant on Station Eleven because of the dystopia aspect. I think I'm going to have to break down and get a copy. I've heard such great things about Station Eleven. It's quickly moved to the top of my 2015 must read list. Glad to hear that you enjoyed Station Eleven! I hope you keep finding amazing reads. I finally bought a copy of Station Eleven, not long ago. Glad to hear you loved it! I'll have to look up the book of short stories. So far, I'm in a non-fiction and classics mood in 2015. We'll see how long that lasts. I considered 2014 kind of a blah reading year. There were some standouts but way too many books that were not memorable. Hope this year is better for both of us! ohhhh ohhhh ohhhh, another short story collection, yay! Hi Andi, and Happy New Year! I hope you find many great books to read and love in 2015. I started the year with Ex Libris by Anne Fadiman, a great little book of essays on reading. I finished two books I'd been reading in December. Descent publishes tomorrow, and I liked it but not love as so many reviewers have. The Voices published in Dec and holy spooky books, I finished at like 2 am, crazy me. I'm pleased to have finished them and reading more books!! Station Eleven arrived in my mail box today! I'm really looking forward to it- it maybe have to jump the line. I really need to just get Station Eleven, just to find out for myself what all the mixed reviews are about!! Most people seem to love it though. And I've not heard of 'Birds of' but it sounds like such a fantastic book! Looking forward to your review of Station Eleven! Most of my reading from last year was in the first part of the year... I hardly read in the second half... I am reading Station Eleven right now! The shifting perspectives were a big plus for me in Station Eleven, but I'm glad the book worked for you even though you're not a fan of multiple POVs. Have you read anything on Mandel's backlist? I read The Singer's Gun recently and thought it was also terrific -- not as good as Station Eleven, I don't think, but still very tightly plotted and well-written.